We handle projects ranging in size from Residential work of small value, but often requiring the highest level of attention to detail, to Multi Billion Rand Industrial and Mining Projects requiring us to play our part in large Multi-disciplinary teams working to a very tight Schedule and Budget. 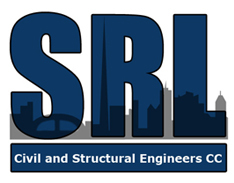 We concentrate on Structural and Civil Engineering but can provide assistance with Mechanical and Architectural Layouts when required, either directly or via companies we have a close working relationship with. Major industrial and Mining Clients include Impala Platinum Refineries, Eskom, Lonmin, Kalagadi Resources, Shaft Sinkers/METS, Bateman Minerals and Metals, Exxaro, Genrec, TWP, DRA, MDM, ELB, Senet Projects, Amec Minproc and Roymec. Professional Indemnity up to a maximum of R10million per claim is provided via TSA Chambury Brokers and is underwritten by Admiral Insurance.